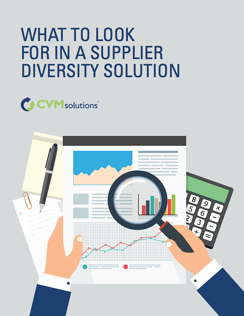 What Should You Look For in a Supplier Diversity Solution? ...and the supplier diversity professionals who manage them are faced with a wide variety of responsibilities. Your supplier diversity team may need expert help—help that comes from third-party organizations and technology solutions—in order to be successful. But, with so many supplier diversity solutions on the market, how do you know which solution is right for you? Which features you should look for?